- Julie Beach will be making the presentation. This course explores access control credentials. Learn about different types of credentials, where they can best be used, and their strengths and weaknesses in various applications. Food: Heavy appetizers will be served during the presentation. David Proffitt, AIA, architect for the University of Louisville will talk about the building and then lead a tour of the facility. The only geothermal facility on campus providing over 200 tons of cooling and sa﻿vings ﻿ to the University of approximately $40,000.00 a year over a conventional system. One of the few supplemental solar water heating systems on campus. Attendees can park in the pay lot to the North of the facility along Fourth Street or the pay lot just south of Minardi hall (Minardi is South of and adjacent to the Rec Center) with a short walk just north to the facility. Parking on the street is available at paid parking meters. Regardless of parking location, the entry to the lobby is off of Fourth Street. RSVP: at Eventbrite site by Sunday, March 9, 2014. RSVP: Seating is limited to the first 20 registrants so please check your schedules and register soon. use for the different uses and locations along with the value engineering possibilities available when working with a tight design budget. RSVP: Please register at: http://mayprogramfastsigns.eventbrite.com or email Anna Lask at: alask@jrarchitects.com by Monday, May 19th at noon. Program Information: Sam Cilone will to lead a program on the fabrication processes and materials used to create architectural and ADA compliant signage. He will touch on the ADA requirements as they apply to fabrication. Attendees will be able to touch and feel the materials and see how signs come together. This workshop will provide an overview as well as detailed information about accessible architectural design. It will include an understanding of building codes and standards. It will also cover some of the latest accessible design trends, how to integrate accessible design into projects, and insights from the perspective of people with disabilities so that architects can gain a better understanding of one of the populations they are designing for more successful projects. See Gallery of Photos from Event! Cost: Free for AIA/CKC members. $20 for nonmembers. A Panel Discussion on Roofing Specifications with contractors, architects and manufacturer reps. This lunch program is being held in conjunction with the Kentucky Roofing Contractors Association (KRCA) and will be a open forum to discuss any roofing related questions &/or concerns that you have or may have had on previous projects directly with roofing contractors, roof manufacturer reps and architects who specialize in roof related projects. They will discuss various roofing topics and be available to answer any questions raised by the audience concerning roof installation, specifications or any other roofing related topic. We expect a lively and informative discussion. Copper and Kings architect Ted Payne and owner Joe Heron will lead a tour through the brandy distillery and end with a brandy tasting in their third floor tasting room where we will also be serving appetizers for our chapter members. The tour is limited to 25 AIA members, so please register soon. Refreshments: Appetizers will be served. Join us for a round table discussion with State Representative Joni L. Jenkins (D), representing Kentucky House District 44 (located in the Shively area). Rep. Jenkins has served in the Kentucky House of Representatives since 1995 and has served on numerous committees. * Understanding the importance of the legislature's role in the practice of architecture. * Understanding AIA Kentucky's Government Affairs program. * Building support for the political action committee. Greg Brotzge will cover some of the issues we are working on and Tom will discuss the PAC. Attendees will find this event to be a social and informative meeting. November Program: Building Tour at Family Health Centers, Inc.
JRA Architects will lead a tour through the Family Health Center at Broadway at Campbell Street. Built as a warehouse and showroom for the Standard Sanitary Manufacturing Company in the 1920’s, the building was most recently occupied by the Louisville Antique Mall. The Health Center is spread over 3 floors and part of the 4th Floor, and includes Exam Rooms, a Pharmacy, Laboratories, a Women’s Center, Pediatrics, and future Radiology and Dental departments. You and a guest are invited to join us on December 10th for the annual AIA/CKC and CSI Louisville Holiday Party. Join us at the Gheens Lodge for dinner and drinks. The cash bar will open at 7:00pm. Dinner begins at 7:45pm. The evening will conclude by 10:00pm. We look forward to seeing you there. 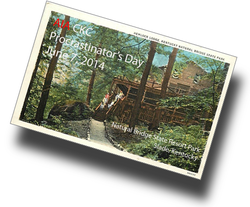 This is a FREE event for AIA CKC and CSI Louisville members and their guests. Member spouses and significant others are welcomed to attend this event. RSVP by 4:00pm on Friday, December 5th. When: December 17, 2014, 5:15 pm - 7:00 pm. AIA / CKC member Steve Wiser will provide a talk on Louisville's creatively designed houses that have been built since the 1930s. While most of the region's residences are of a traditional style of design, Steve will feature the 'new' modern aesthetic of house design that is more artistic and sculptural in appearance. Houses to be featured include designs by Norman Sweet, Michael Koch, Fred de Santo, Stow Chapman, and many other local architects. Steve has written four books on Louisville houses: Historic Houses of Louisville; Distinctive Houses of Louisville; Haunted Houses of Louisville; and Modern Houses of Louisville. RSVP: Click Here to register at the Filson Historical Society website. In addition, Steve's book (Modern Houses of Louisville) is available at both Carmichael Bookstore locations for $25. Keep in mind that the book will make nice holiday gift! You may also purchase the book at the event. Steve Wiser will sign copies of the book at the lecture.